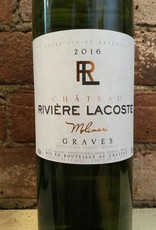 White Bordeaux with 65% Semillon and 35% Sauvignon, popping with tamarind and citrus fruit. Sustainable farmed, a short maceration on the skins. "Entirely harvested by hand with severe selection, maceration with skins followed by decanting at low temperature. Transferred to casks and fermented at controlled temperature. Aged in casks with regular stirring of the lees in order to develop the structure and aromas. 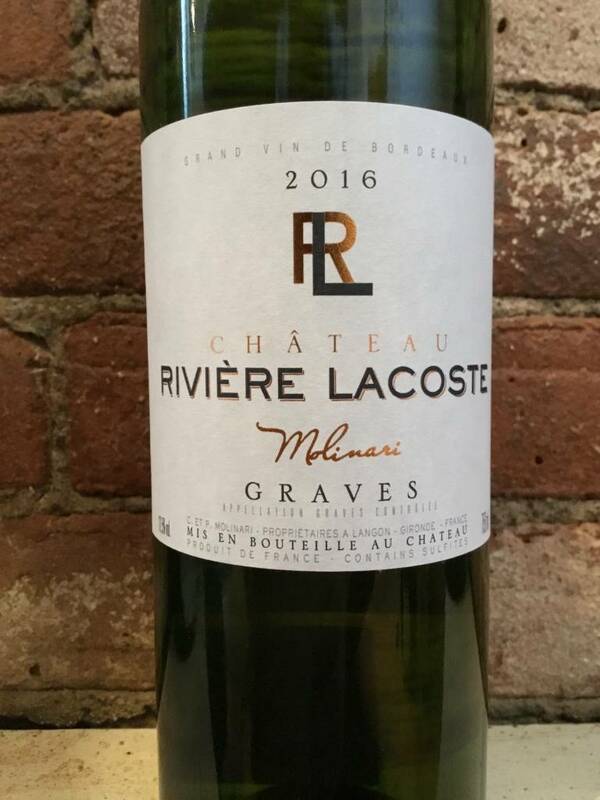 In 1931, Paul Dauvin started this wonderful family history by coming to live in Langon, a commune in the Graves region south of Bordeaux on the left bank of the Garonne, where the temperate climate is well suited to the cultivation of vines because of its mildness and regular rainfall. He planted the first vines of the present property. In 1955, Jean Brussac, his son-in-law, took over the business which at that time covered 2 hectares. It was only when Antonio Molinari, Jean Brussac’s son-in-law, joined the domaine in 1957 that this was increased to 7 Ha. After a short but brilliant career in IT in 1988, Pascal Molinari, the great-grandson of the founder, returned to the vineyard. Today, the property is directed by his daughter and the 5th generation, Charlotte Molinari, who has expanded the domaine to 22 ha. while continuing to adhere to the philosophy laid down at the outset."